Author: Achebe, Chinua Set In . . . When Obi Okonkwo, grandson of Okonkwo, the main character in Things Fall Apart returns to Nigeria from England in the 1950s, his foreign education separates him from his African roots. 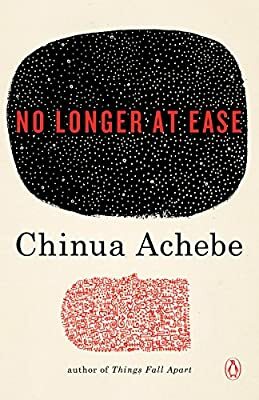 No Longer at Ease, the third and concluding novel in Chinua Achebe’s The African Trilogy, depicts the uncertainties that beset the nation of Nigeria, as independence from colonial rule loomed near. In Obi Okonkwo’s experiences, the ambiguities, pitfalls, and temptations of a rapidly evolving society are revealed. He is part of a ruling Nigerian elite whose corruption he finds repugnant. His fate, however, overtakes him as he finds himself trapped between the expectation of his family, his village—both representations of the traditional world of his ancestors—and the colonial world. A story of a man lost in cultural limbo, and a nation entering a new age of disillusionment, No Longer at Ease is a powerful metaphor for his generation of young Nigerians.